Himalayan salt has been prized for centuries as a way of cleaning and purifying the atmosphere around us, as well as directly improving our health and wellbeing. 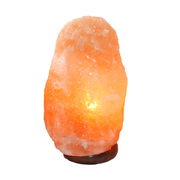 Himalayan salt lamps absorb dust, pollen, smoke and other impurities by trapping the moisture in the air within its crystals. Then, when the salt is heated, from a light bulb or tea light, it releases the moisture back into the atmosphere, leaving the impurities trapped in the rock. Hymalayan salt can also freshen the air by neutralising the ion pollution caused by computers, televisions and other electrical equipment, leaving your room feeling as fresh and stimulating as the seaside. 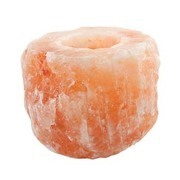 Himalayan salt lamps have been linked with better sleep, increased energy levels, reduced allergy and asthma symptoms, better mood and improved concentration. 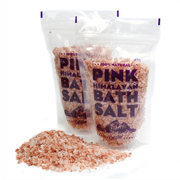 Himalayan salt can also be used in your bath water, to ease aching muscles and detoxify the skin. The wide range of minerals and trace elements that give this famous salt its distinctive pinky-orange hue, include many of the essential minerals we need for health and vitality. Adding Himalayan salt to your bath allows your body to absorb these minerals naturally. While there may not be specific scientific evidence to support the properties of Himalayan salt, the fact that it has been prized since the third century BC speaks volumes.